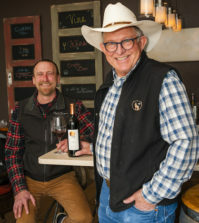 ELKTON, Ore. — Terry Brandborg would love to turn Elkton Villages Nouveau into an annual celebration at his eponymous Southern Oregon winery, but some years the Pinot Noir won’t make it to the party in time. This vintage, though, the fruit came in early enough for Brandborg and his wife, Sue, to schedule their third Beaujolais Nouveau-themed party for tonight. They will be doing the cooking for 50 guests in the cellar at Brandborg Vineyard & Winery, a festive gathering in the tiny town of Elkton to observe a French tradition that’s young by Old World standards. “I will tell them a little about the history of the event, but I really just mention that we’re sharing a celebration with like-minded people all around the globe,” Brandborg said with a chuckle. 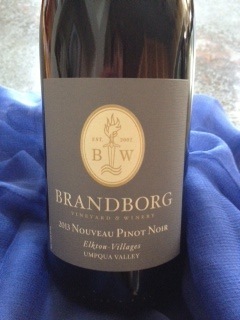 A few bottles of Brandborg’s debutante 2013 Elkton-Villages Nouveau Pinot Noir also will be poured in Portland at the second annual Oregon Nouveau Block Party, an evening event that includes Bow & Arrow, Division Winemaking Co., Grochau and Terroir Originels. A ticket costs $25, and proceeds from the festival at St. Jack restaurant will benefit the Oregon Food Bank. In recent years, Beaujolais Nouveau parties have established a toehold throughout the United States. Perhaps it’s part of the American awakening to wine, but it also may be a fun way to battle the early sunsets and cold weather. Some view it as the unofficial start of the holiday season with Thanksgiving exactly a week later. At 12:01 a.m. on the third Thursday of November, producers in the Beaujolais region of Burgundy begin taking to market huge amounts of Gamay, a variety that’s related to Pinot Noir and made into an ebullient and approachable wine that bottled less than two months after harvest. Beaujolais Nouveau wines are built to drink in fresh and fruity style, making them an ideal pairing for fowl or pork loin. They carry a vibrancy of youth, acidity and often a dab or two of residual sugar. Typically, they see a few days of carbonic maceration when much of the fermentation takes place inside the berries of a whole cluster. That’s followed by fermentation in either stainless steel or neutral oak for weeks — not months. Often they feature aromas of bubble gum and banana with flavors of fruit punch. It’s often viewed as a fun drink for young people and festive occasions, rather than a wine to be studied over a quiet dinner. Soon after the end of World War II, France established Nov. 15 as the official release day for Beaujolais Nouveau, but its rise in popularity can be traced back to Georges Duboeuf, born in 1933 to a winemaking and farming family. He began to redefine the marketing of Beaujolais while a negociant in the 1960s, using the annual celebration to promote his trend-setting winemaking style. Success of the flamboyant labels can be measured today by his company’s production — a staggering 25 million cases annually. Americans may remember bottles of Nouveau Beaujolais riding the Concorde for highly publicized events in New York City on the third Thursday of November, which became the official release date as of 1985. The French maintain that it became their country’s unofficial National Drinking Day during the Nixon Administration. In the Pacific Northwest, Brandborg readily credited Amity founding winemaker Myron Redford for embracing the Beaujolais Nouveau concept in Oregon. The Seattle native produced his first wine in the Willamette Valley — which he dubbed Pinot Noir Nouveau — in 1976, although he didn’t begin growing Gamay Noir until 1987. 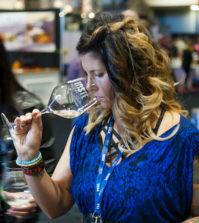 McMinnville winemaker Remy Drabkin picks up on that theme and also produces a Pinot Nouveau under her Remy Wines brand. 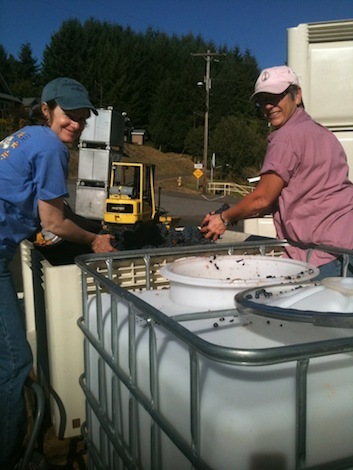 The Brandborgs, who moved from California to make wine in the Umpqua Valley in 2002, began celebrating Nouveau at their winery in 2009. His latest work with Gamay is a 2011 tribute to Sue’s mother and granddaughter — Miss Tilly. 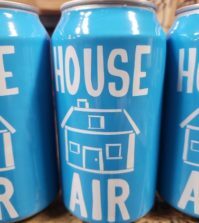 “It’s finished with a bit of RS and dose of CO2, and it meets the requests we get for a red wine that’s slightly sweet,” Brandborg said. 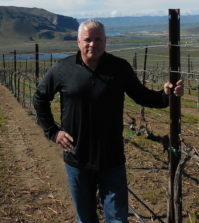 Tonight, he will showcase the 2013 Elkton-Villages Nouveau Pinot Noir bottled with the Umpqua Valley American Viticultural Area, rather than the area’s new AVA. His 2012 Fleur de Lis White Pinot Noir qualified but was bottled prior to the approval. The focus of tonight’s five-course feast is centered on Pinot Noir in five styles, and anyone who’s enjoyed a meal cooked by the Brandborgs would rush back for a second helping. Remarkably, they are charging only $50 per person for the Nouveau — and wine club members got a nice discount. There’s a social hour with their 2012 Scarlett Cuvée Rosé — named for the redheaded Sue — followed by the 2012 Fleur de Lis White Pinot Noir and the 2008 Love Puppets Pinot Noir. The entree of Boeuf Bourguignon will be served with the 2013 Elkton-Villages Nouveau, and the Chocolate Bourbon Cheesecake goes with a barrel sample of the 2013 Port-style of Pinot Noir that’s yet to be named. That White Pinot Noir, which comes off the Brandborgs’ Ferris Wheel Estate Vineyard, was bottled and labeled just before the federal government approved the Elkton AVA. The 2008 Love Puppets is predominantly from the Red Hill Vineyard in nearby Douglas County — the only single-vineyard AVA in the Northwest and a sub-appellation of the Umpqua Valley. 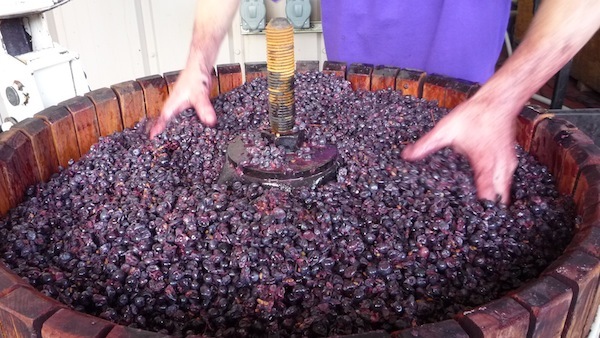 The Port-style hails from Westbrook Vineyard near Sutherlin. The Brandborgs moved to the Umpqua Valley from the Bay Area and quickly became one of Oregon’s top cool-climate winemakers, excelling with Pinot Noir while creating world-class Gewürztraminer and Riesling. He’s also been one of Southern Oregon’s busiest vintners, building Brandborg into an 8,500-case winery on top of doing custom-crush work. Along the way, he’d had Nouveau in the back of his mind. In 2009, the conditions accommodated a Nouveau release of Pinot Noir at Brandborg Winery. 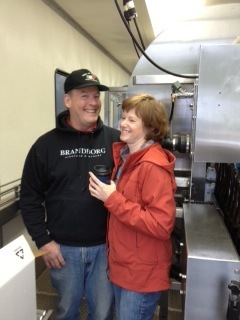 He and Sue will toast their 60-case production with guests tonight. What’s left goes on sale to the public Friday for $25 per bottle.